This video will leave you asking you, "what?!" The glowing location has you feeling like you're in the middle of an arcade video. Surprisingly it was built in a Colorado basement in the dead of winter; we guess you could say Tiny Whoop pilots have a lot of time on their hands if they don't want sit outside and fly. We're not complaining - this set up is pretty darn impressive. 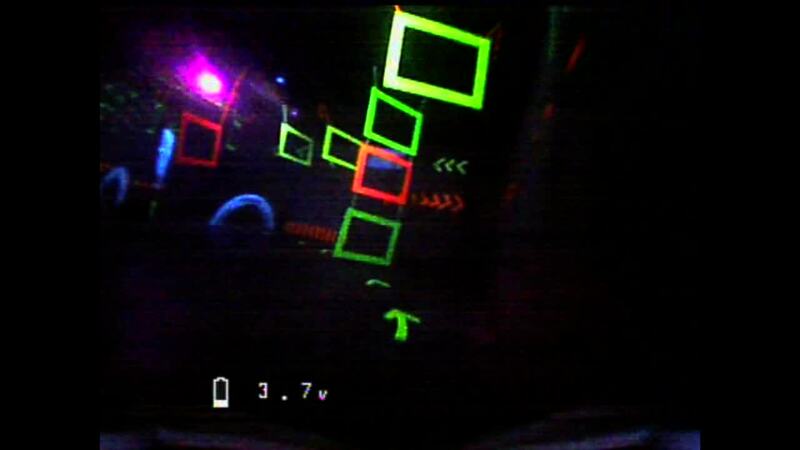 Description: Winters in Colorado are long and cold, we can not always get out to fly our big kwads so.... We built this futuristic neon tinywhoop course in my buddies basement using neon poster board and neon duct tape a little cardboard and some black lights and we have gates that pop without blowing out your fpv cam when you approach them. Then of course we got carried away and added a fog machine and some laser displays to add to the serealistic environment.